After much controversy, developer Nick Tompkins is again on the Arroyo Grande City Council agenda in another attempt to get approval for a proposed grocery store at East Grand Avenue and South Courtland Street. Council members are scheduled to revisit the issue on Tuesday, Jan. 25, starting at 7 p.m. in the Arroyo Grande City Hall. During the second half of 2010, Tompkins attempted to get approval to put in a 50,881-square-foot Food 4 Less grocery store. The City Council rebuked his attempt after numerous residents spoke out against the project. Tompkins’ current proposal includes a restaurant, two commercial buildings and a 35,786-square-foot grocery store. More than 5,000 locals signed a petition asking the council to reject the project. Carol Florence, a representative for Tompkins, said a survey conducted by San Luis Obispo-based Opinion Studies shows that there is a need for an additional grocery store in the area. Callers polled 200 Arroyo Grande residents and 200 residents from Grover Beach, Oceano and Nipomo. Their survey concluded that 65 percent of the public support a Food 4 Less in Arroyo Grande. “The 5,000 plus signatures is more indicative of what the community wants than the 200 Arroyo Grande called in Tompkins’ survey,” said Spencer Market owner Beatrice Spencer. The Tompkins’ survey also determined that the Cookie Crock Warehouse, a grocery store, which sits a few blocks east of the proposed store on Grand Avenue, stands to lose the most business to a new discount grocery. Tompkins also owns the shopping center that includes the Cookie Crock Warehouse. About a year and a half ago, Tompkins offered to buy out the Cookie Crock Warehouse owners’ 30 year lease, so that he could redevelop the property. Both Tompkins’ current project and the Cookie Crock Warehouse shopping center sit in the city’s redevelopment zone. State redevelopment funds provide financial assistance to cities and developers who redeveloped zone properties dubbed blighted. Gov. Jerry Brown has announced plans to cancel state redevelopment funding in his efforts to help balance the state budget. Several opponents of the project contend that Tompkins is attempting to put a low-cost grocery in an area that is already saturated with grocery stores because he is hoping to force the Arroyo Grande Cookie Crock Warehouse out of business. “The redevelopment money is not a major motivator,” said Steve Adams, Arroyo Grande city manager. Adams said, the city currently gets $1.6 million per year from the state for their redevelopment agency. The city spends the funds on developer’ costs and pays the city’s redevelopment agency’s staff salaries. If Brown is successful in disbanding redevelopment agencies, the city would still receive about $600,000 per year money in previously designated funding, Adams said. Both Foster and the project’s planner, Florence, said that plans to redevelop the Cookie Crock Market and the plans for the Courtyard project are unrelated. “The whole back and forth between Tompkins wanting to put Cookie Crock out of business is not anything that would have anything to do with putting this project through,” said Ryan Foster, Arroyo Grande associated planner. Opponents of the project claim the developer already has a tenant in mind, an arm of Food 4 Less, the chain’s Hispanic format, Rancho San Miguel. It is unfortunate that some people haven’t taken the time to do a little homework to understand the ramifications of an issue. We do have value shopping in Arroyo Grande and many choices. Get out pencil and paper and do some real compare shopping. The real issue is not about best pricing of groceries. 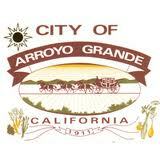 Arroyo Grande is over grocery stored. Then what happens,stores close, people out of work, whole centers close. Blight in a city. Look at our city, buildings empty everywhere. New buildings cost money to build, rent is higher. Who wins? More money in the pocket of the landlord at the expense of his existing tenet. Look at the cost of the city hall building. Oh yea and the water problem. Somebody stop the madness! I’m so disappointed with the city council. Can anyone say “recall”? It seems hilarious that you are all so up in arms about the building of a low cost grocery store in AG, the last time I checked we are still neck deep in a recession, that ultimately is affecting the rest of the world much more than our little bubble of a community, but still this store will provide low cost groceries to those who need them in these desperate times as well as provide a large amount of jobs, though they may not be CEO salaries at this point and time jobs are jobs. The only thing that sounds stupider to me then the fact people are basically slapping America’s capitalistic system in the face by telling a land owner what he can and cannot put on his property because we fell the aesthetic value of another “big chain” grocery store will ruin the small town feel, is the fact that Mr. Spencer GOT 5,000 people to sign his little petition right(these people didn’t go out of their way to sign it)? Well that seems like he will have plenty of people at his store day and night shopping, and so if your really against it go shop somewhere else, quit crying like a baby, and quit taking advantage of the poor by limiting their options.